• Does change have to be hard? • Is change only for the disciplined? • Does willpower really work? I'm a huge fan of audiobooks. Since the vast majority of the books I listen to, come from audible.com, I thought I'd partner up with Audible and spread the word. By clicking this link Free Audible Trial, you can sign up for a free 30 day trial of Audible's audiobook service. During that 30 days, you can download one book for free, and take advantage of any sale price books at a significant discount. If you decide to cancel the free trial, you still get to keep any books you downloaded. There are over 180,000 titles to choose from, which is a dream come true for me. Check it out and let me know what you've read. You can tune in to my comeback training on Strava to see everything that I'm doing to get in the best shape of my life (don't forget to click "Follow" to get daily updates). 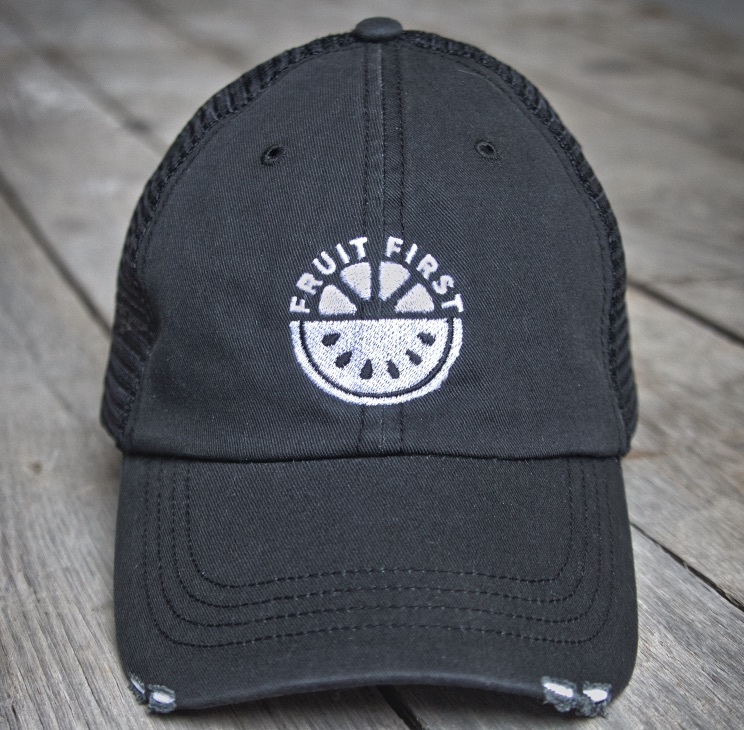 "Fruit First" and "Running Raw Feet Logo" hats are now in stock. 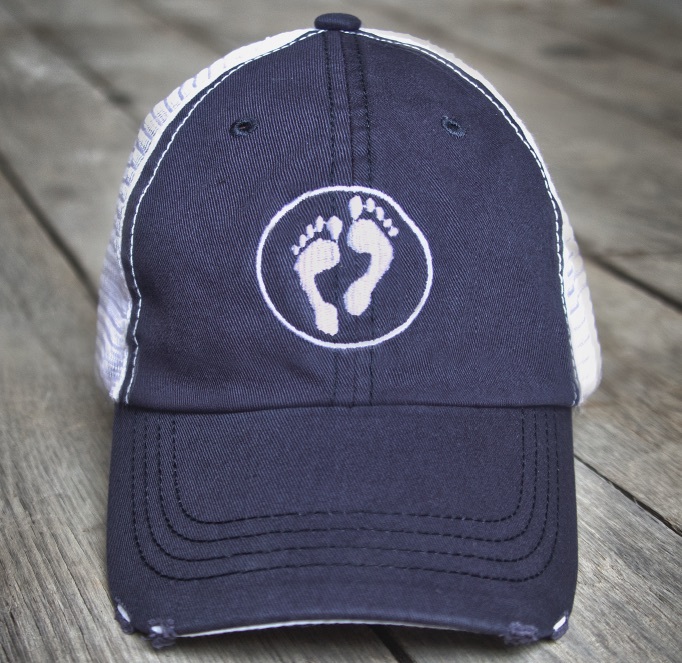 These stylish organic cotton and mesh hats are a great way to help spread the message of health and look good doing it. As many of you know, I'm a HUGE fan of audiobooks. I listen to a new book every few days. Most of the books I listen to come from Audible, so I thought that it would make perfect sense to become an affiliate. You can sign up for a 30 day trial membership (cancel at any time) and get a free audiobook by clicking this link Audible Free Trial You get the keep the book even if you cancel and you help Running Raw in the process. If you are interested in coaching please Click Here for more information. "Turbo Charge Your Life!" is a Huge Hit! I've been getting rave reviews for my audiobook "Turbo Charge Your Life!". Click Here to check it out. 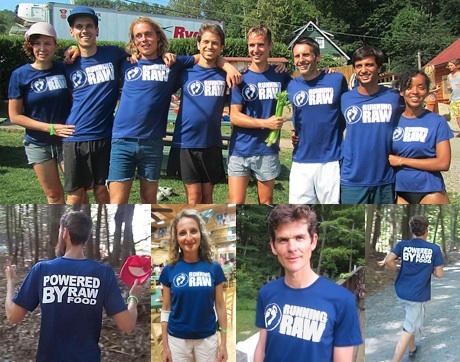 Running Raw Shirts Have Arrived! When Runners arrived at the start of the USA 50km Trail Running Championships this Saturday they were not certain the race was a go. Smoke from the nearby Pole Creek wildfire had covered the area in the days leading up to the race, forcing the race director to make a literal last minute decision about the fate of the race... Among the elite field was trail ace Tim Van Orden, 44, of Bennington, Vermont. Despite winning the 2011 USA Trail Running Championship Series, Van Orden was nervous about competing in his first ultra marathon (longer than 26.2 miles)... Read FULL POST. It took six years, but it's beginning to look like the 'crazy raw guy' has finally made his point. I have now won three USA Runner of the Year Awards... and I'm just getting warmed up...Read FULL POST. It’s been a long and expensive year of racing. My goal this year was to compete in all five of the U.S. Trail Running Series races, and with any luck, come in the top 5 overall. The series consists of the four U.S. Trail Championships at 10k, 15k, Half Marathon and Marathon, as well as the U.S. Mountain Running Championships...Read FULL POST. Have you tried a diet and failed? Does the thought of eating a vegan or raw diet fill you with thoughts of deprivation and anxiety? Are you having a hard time taking the first step? Do you know what to do, but you just can't get yourself to do it? Are you sick and tired of all the contradictory dietary information out there? This audiobook grew out of my frustration with the endless stream of diet books, self help books and media misinformation that we are bombarded with on a regular basis. 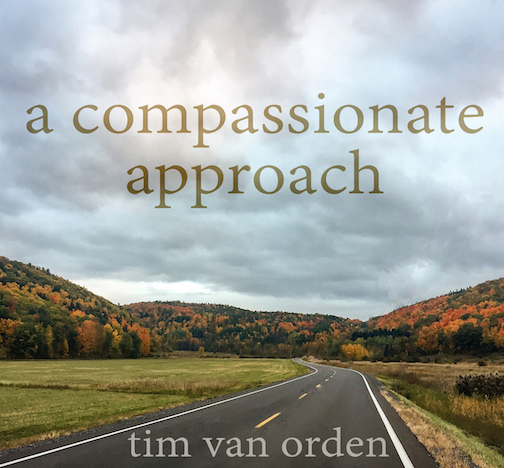 The information contained in this audiobook comes from years of research, practical application and the creation of tools that have helped me achieve success in my own life. If you know who you want to be but you don't know how to get there, this audiobook is for you. What is the Running Raw Project? The Running Raw Project is a grand experiment in diet and athletic performance. It was started by Tim VanOrden in November of 2005 with a simple question: Can one be an athlete while eating a 100% raw vegan diet? That curiosity was quickly answered with a resounding YES! What Tim has discovered could change the world of sport forever. But why stop there? Why not try to change the world along the way? This is the mission of the Running Raw Project. • What happens when you combine a raw vegan diet and athletics? • Would this diet give you greater endurance and strength? • Would it allow you to recover faster? • Would it remove age as a factor? • If all of this was possible, would other athletes take note? • Would other athletes consider fruits and veggies over steroids and doping? • To see what's possible. To be what's possible. • To unite people in a global effort to create a better world through sport. • To promote health and ecological stewardship among athletes of all ages and abilities. • To scientifically prove that an organic, plant-based diet, consisting of uncooked, unrefined, and unprocessed whole foods yields the highest performance for the human body. • To get other high level athletes to consider the advantages of this diet. • To get those athletes to endorse and promote the idea of whole food nutrition to the youth of America, who are in desperate need of dietary transformation. • Americans still have not made the connection that Diet equals Health. • The prevalence of obesity quadrupled in the past 25 years among boys and girls - currently 15% of the U.S. population. In minority youth, this statistic climbs to 20%. • Type 2 diabetes accounted for 2 to 4 percent of all childhood diabetes before 1992, but skyrocketed to 30 to 50 percent by 2004. • In 2006, 1.5 million Americans died from dietary related diseases, at a cost of $800 billion. • Agri-business and food processing account for 60% of US oil consumption. • Conscious eating = reduced oil dependency and a decrease in greenhouse gas emissions. • To dispel the belief that this diet is for non-achievers and non-performers.